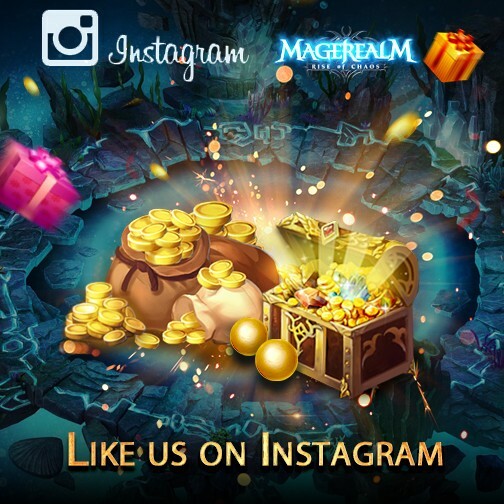 Brand Official Magerealm Instagram Now! Don’t miss out on this huge Rewards event! Spread the word by inviting your friends to LIKE our page Magerealm! Be sure to check the official Magerealm Facebook fanpage and forums for the latest news! If you have not tried Magerealm yet, now is a great time to start your adventure in this epic action MMORPG!